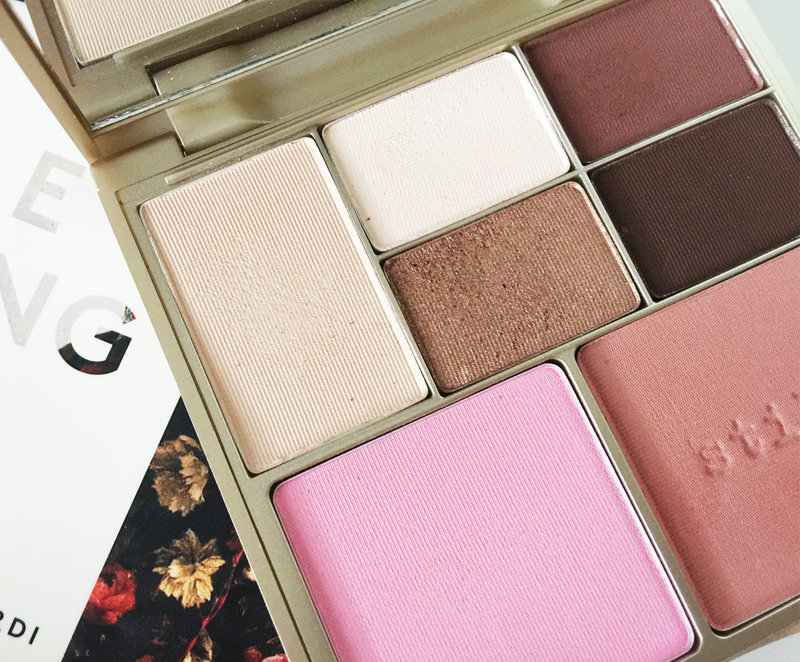 One of the easiest ways to do your makeup quickly in the morning is by using a palette. Not just any palette, but a palette that is multi-purposeful. stila has made it super easy by combining many makeup products into the stila Perfect Me, Perfect Hue Eye & Cheek Palette. This palette contains five different eyeshadows and two cheek shades. I have the palette in the Light/Medium collection of shades. This company palette has a great mirror for application purposes and generously sized product pans inside. I think the Fair/Light palette may have suited my skin tone better, but the variation of shades in this slightly darker palette still work for me. The colours all work together to help make your eye and cheek makeup work together in creating your overall look. A mixture of different eye shadow finishes gives you a lot more possibilities with the look you create. The palette is easy to stick in a purse for touch-ups on eye or face makeup if needed throughout the day. Amp it Up with stila! What is the easiest way to take an ordinary look and make it a little more glam? Add a lipstick. For really simple eye and cheek makeup, you can use a brighter shade of lipstick to make your lips pop. Everyone loves a bold statement lip. 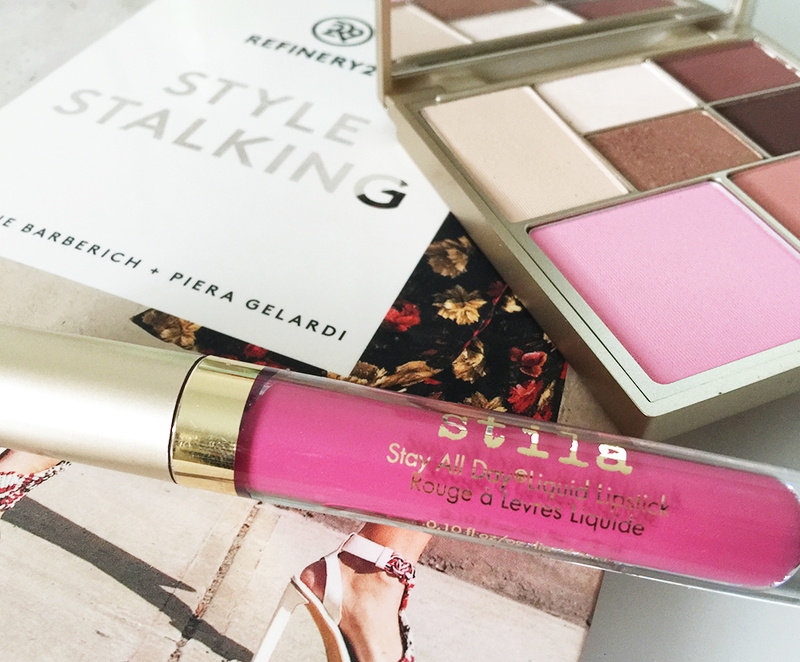 I have been wearing the stila Stay All Day® Liquid Lipstick in Fiore lately to change it up. Fiore is light and bright pink shade with berry undertones, but also a “hot pink”. This is not a colour I would normally wear, but I actually love how good it looks on me. The liquid lipstick itself is highly pigmented and very easy to apply. It has a very light formula and stayed put throughout the days that I wore it from morning to evening. It did not budge while drinking coffee or eating my lunch. This lipstick has yet to face the messier and oily foods, but I imagine it holds up fairly well from trying to remove it at night. What are you favourite products from stila? Have you ever tried the liquid lipsticks? I’m really glad to have this brighter pink shade added into my collection now. I am considering adding another stila liquid lipstick to my collection in the near future, once I figure out what shade I want. Let me know in the comments below!